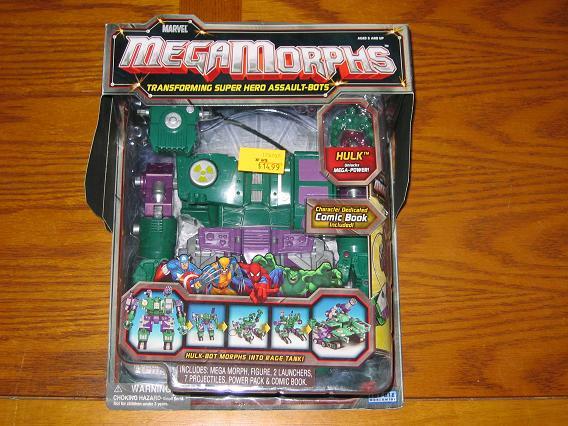 Not really sure when I got this but I know I found it at Toys R Us in Kingston. I remember that I had just gotten my first credit card and had promised my parents that I wouldn’t get myself into debt with it. I had no cash when I spotted this beauty – but you better believe that I whipped out that credit card faster than ever! Thank you Discover Card! If you look close you can see a trail of drool coming out the right side of Hulk’s mouth. I love the illustration they chose. 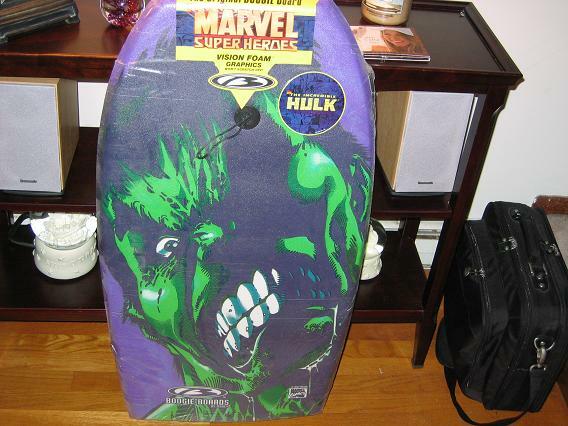 Alot beter than the overly animated Hulk that they stamped on everything when the movie came out. Of course, it never stays that way for very long, does it? 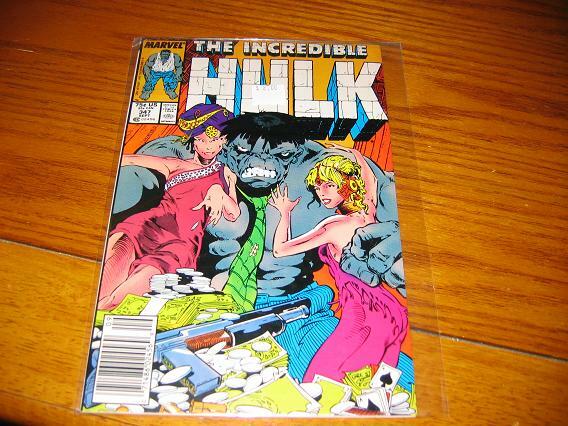 This is the beginning of Jeff Purves as the artist on the Hulk, and while it takes him a little while to find his own style in these comics, I think the cover is just great. These, I’m ashamed to say, were posters that I might’ve taken without permission. 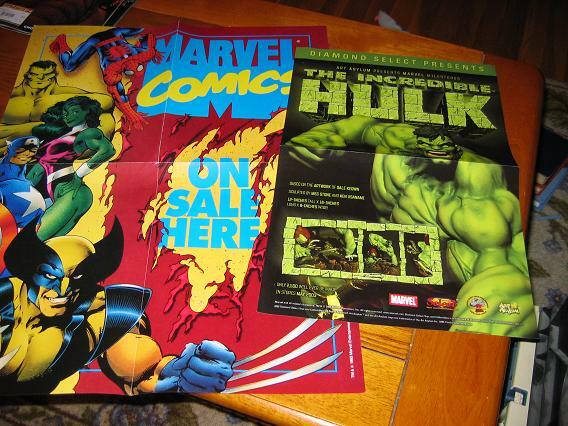 Trust me, I feel bad, but sometimes there’s a Hulk poster in a comic shop window – that I know if I asked for it they would say yes anyways – so sometimes, not all the time mind you, I cut out the middle man and just take the poster. I think that’s how I aquired these two. This is a great rendition of one of the most entertaining transformations of the Hulk. 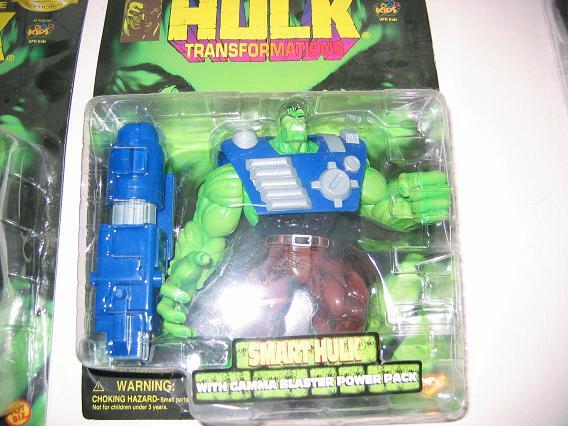 I’m not so sure about the accessories though… Gamma Blaster Power Pack? What the heck is that supposed to do? Another version where the hands are so much bigger than his head – but because this figure looks so good – and it’s pretty faithful to Keown’s drawings, then I’ll let it go this time. 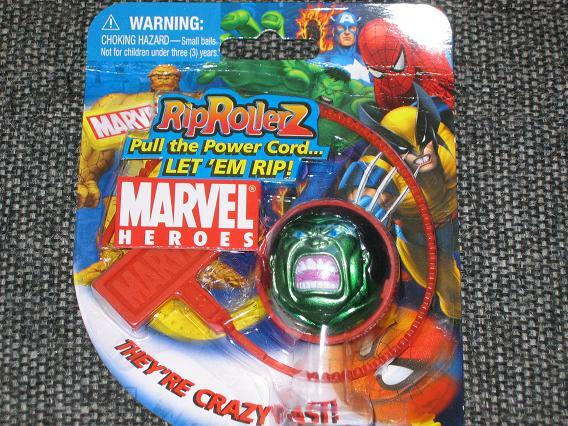 So, as far as I can tell, you pull the rip crod thing and the little Hulk ball goes flying across the florr at break-neck speed. 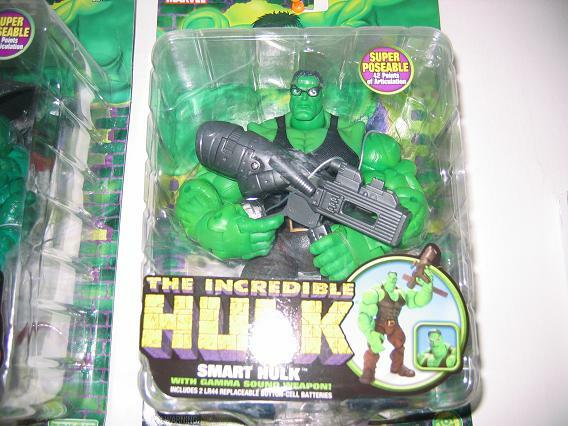 Thank you to Bill for sending me this unique addition to my Hulk collection that you found in the Walgreens in CT.